The 232nd Merseyside derby is this weekend as Everton make the short journey across Stanley Park to face Liverpool at Anfield. Mark O'Haire pinpoints the best betting opportunities..
"Everton have W1-D10-L22 on their past 33 trips to Big Six sides since 2013/14 with their sole success arriving against a David Moyes led Manchester United in December 2013." Liverpool warmed up for the Merseyside derby with a potentially damaging Champions League defeat in Paris. The Reds, outplayed for large periods, went down 2-1 to an impressive Paris St-Germain, leaving last season's beaten finalists in a ponderous position to progress to the knockout stages. James Milner's penalty on the stroke of half-time was Liverpool's only shot on-target in the French capital with Jurgen Klopp's charges putting in a lacklustre performance. Indeed, PSG could have enjoyed a more comfortable finale had they shown more composure in the final-third, a concerning sign for Klopp. Trent Alexander-Arnold is expected to return on Sunday with Joe Gomez likely to shift back to centre-half alongside Virgil van Dijk, Naby Keita or Fabinho look set to replace suspended skipper Jordan Henderson if Klopp persists with his 4-3-3 system. Xherdan Shaqiri may start should the Reds revert to a 4-2-3-1 formation. Everton moved into the Premier League top-six with a hard-fought win over Cardiff at Goodison Park last weekend. Gylfi Sigurdsson's close-range finish was enough to help the Toffees claim maximum points after they monopolised possession and controlled proceedings against the newly-promoted guests. Marco Silva's men came alive in the second-half, putting Cardiff under plenty of pressure with Sigurdsson seeing a short cleared off the line before making the decisive breakthrough. Prior to that, Everton's £100m-plus attack had failed to fire in front of an expectant crowd with Richarlison distinctly out of sorts. Silva suggested his side showed a lack of maturity in their slow and below-par start against the Bluebirds, but was pleased with his team's efforts after the interval, their fifth win in seven (W5-D1-L1). The Portuguese fielded an unchanged XI against Cardiff and may make minimal tweaks for Sunday. Liverpool [1.42] have dominated recent Merseyside derby match-ups, avoiding defeat against Everton in each of their past 17 meetings (W8-D9-L0), their longest-ever unbeaten run against their rivals. Meanwhile, at Anfield the Reds haven't lost against the Toffees since 1999 (W9-D9-L0). Despite their midweek reverse and Champions League troubles, Klopp's charges remain unbeaten in their opening 13 Premier League outings (W10-D3-L0), shipping just five goals - never before have Liverpool leaked as few goals at this stage of a season. The Reds have kept clean sheets in 10 of their last 11 Anfield league encounters. Everton's [9.00] recent run (W5-D1-L1) has coincided with Andre Gomes' arrival into the team. The Barcelona loanee has had a colossal effect on the Blues' fortunes, whilst Yerry Mina has settled into his defensive role superbly alongside the ever-improving Michael Keane. Silva's side arrive confident. However, the Toffees have consistently toiled when travelling to the Premier League's elite and it's difficult not to envisage a repeat. Everton have W1-D10-L22 on their past 33 trips to Big Six sides since 2013/14 with their sole success arriving against a David Moyes-led Manchester United in December 2013. The Merseyside derby has historically been a low-scoring fixture with 10 of the past 17 Premier League meetings seeing fewer than three goals. More recently the matches have been close encounters with six of eight contests falling below the Under 2.5 Goals threshold [2.40]. As already mentioned, Liverpool's forwards haven't fired in the same way as 2017/18 yet with the Reds' defence taking the lions' share of home plaudits. Indeed, five of their most recent seven games have delivered Under 2.5 Goals, including three showdowns with Big Six rivals. Everton haven't been proven quite as profitable in the Under 2.5 Goals market, although the Blues held Chelsea to a goalless game in their most recent road trip, and have shutout four of their past seven Premier League opponents. 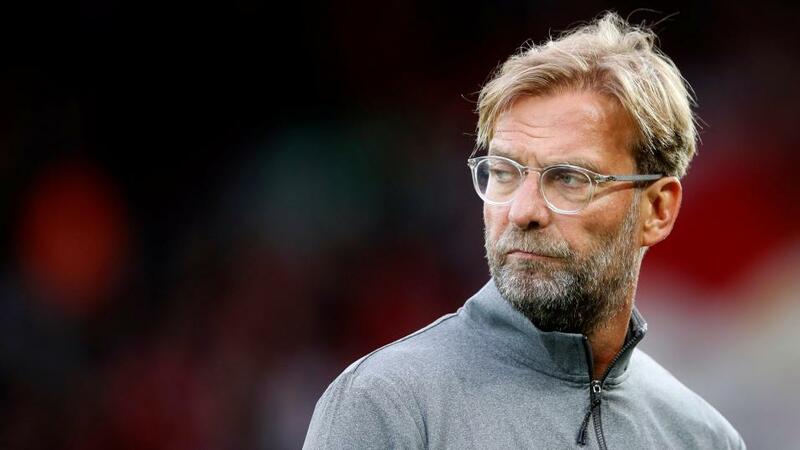 Klopp was warned his team that Everton are "a different cup of tea" this season and will be on high alert following their midweek disappointment. I expect the Reds to bounce back but due to the high propensity for Merseyside derby draws - nine of 17 at Anfield - I'm taking a more conservative approach. Having already outlined the case for a potentially low-scoring game, I'll dip into Betfair Sportsbook's Same Game Multi markets to support Liverpool double chance alongside Under 3.5 Goals for a very generous [1.75] offering. This selection gives us a Liverpool win by 1-0, 2-0, 3-0 or 2-1, as well as the 0-0 and 1-1 draws onside, which would have returned profit in seven of their past nine Merseyside derbies.